KWHCoin is five months in to its renewable energy network development and our team and community have many accomplishments and milestones to celebrate. We also want to use this platform to further clarify the value of the KWHCoin in the ecosystem so that our community, token holders, and future KWHCoin members can have transparency on the growing value proposition. This analysis will discuss KWHCoin’s incredible Startup World Cup Finals experience in San Francisco and the latest exciting news on the TOPBTC listing of KWHCoin. For transparency we will provide a comprehensive update on our 3 major project developments and define the clear value that the KWHCoin represents in each project and ecosystem. KWHCoin won the Regional Startup World Cup in Nairobi, Kenya and advanced to the Startup World Cup Finals in San Francisco. The top 28 startups in the world competed for a grand prize of $1,000,000 and promotional opportunities. KWHCoin did not win the grand prize however the most influential venture capitalist firms and technology titans were in attendance. KWHCoin impressed the packed house and was interviewed by NBC Bay Area News on its efforts to electrify the earth. “It was such and honor for our KWHCoin team and community to make it to the finals and be considered one of the top 30 startups in the world. We have networked and developed relationships with some of the biggest names in technology so participating in the World Cup has given KWHCoin a level of exposure that has accelerated our company growth and opportunities. We thank Fenox Venture Capital, Tresco, our community and all our supporters for there support during this amazing process,” says KWHCoin CEO Girard Newkirk. 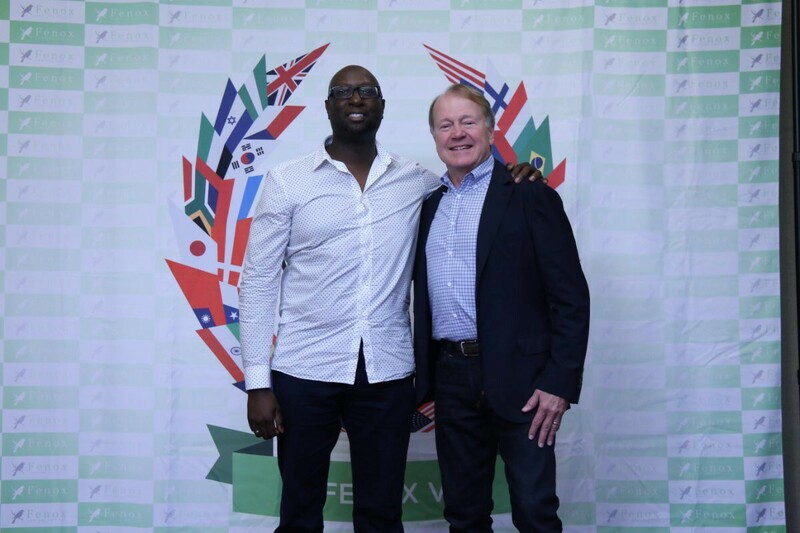 KWHCoin CEO, Girard Newkirk and Former CEO of Cisco Systems, John Chambers networking during a luncheon at the Startup World Cup Grand Finale. KWHCoin has peaked the interest of many in the technology sector and is poised to will lead the world to a more sustainable renewable energy future. TOPBTC announced the listing of KWHCoin to its exchange on May 24, 2018 making TOPBTC the second exchange KWHCoin is traded. “This is a tremendous milestone for the KWHCoin community and team with our listing on TOPBTC. We are so proud to share this with our supporters and we believe the unique value proposition of KWHCoin makes it one of the most dynamic projects in cryptocurrency and blockchain,” states CEO Girard Newkirk. KWHCoin is also traded on Bitfex and is currently paired with BTC/ETH/DASH/LTC as it continues to gain popularity in the cryptocurrency community. The blended token model and enterprise application of KWHCoin has created a platform to offer social impact and enterprise solutions for energy access. Teleficient has distributed over 6000 “pay as you go” energy systems in Sierra Leone with plans to install over 50,000 systems.With 80% of its population off grid, Sierra Leone has unique energy challenges with a sparse rural population and lacking a centralized grid to deliver reliable energy services. There were friction points for Teleficient related to manual payment processing, fraud risks, and overall customer experience which made KWHCoin a viable option to partner for efficiency and network development. This marks an impressive milestone for the KWHCoin project as it relates to adoptability of the KWHCoin. The KWHCoin will be used as “payment method” representing the value measurement of the ecosystem. The project has a commitment of 50,000 systems currently but KWHCoin, in partnership with Teleficient, are actively making plans to scale the systems and make them accessible to the entire Sierra Leone population of 7.7 million people. All transactions whether it be direct payment for the systems and future peer based exchanges will be denominated and executed in KWHCoin. All renewable energy usage data will be integrated to the KWHCoin blockchain. Transaction base for the KWHCoin and provides an existing network for token generation and transactions. Nurses in Hand (NIH) is a social enterprise providing post-crash emergency response along Kenya’s Road Network, covering 800 miles of roadway from the Kenyan coast to Uganda. “With our projects in Sierra Leone, Kenya and Puerto Rico the KWHCoin is the method of payment for renewable energy and can also be paired with local currencies ( in the case of Nurses in Hand project in Kenya). The KWHCoin will have an adoption and user platform that will exceed 100,000 by the fall. KWHCoin is method of payment for energy services and export. KWHCoin will be paired with other local currencies and accepted as form of payment for services through the app. KWHCoin blockchain will fully integrate with real time traffic data networks connecting one of the busiest roads in Kenya which connects the port and also runs through neighboring Uganda. Token model and compensation for energy generation promotion will be in the form of KWHCoins. KWHCoin aims to deploy the largest renewable energy blockchain project on the island helping generate and deploy renewable energy assets to Puerto Rico. KWHCoin the blockchain based renewable energy company is heading to Puerto Rico to launch its genesis renewable energy project on the island. The project intends to use cryptocurrency as a liberation technology and is applying its unique token model in Puerto Rico. The KWHCoin team is scheduled to conduct formal house selection and connection analysis while developing the scope of the project locations in Puerto Rico. The team has assigned 10 homes for immediate deployment to test reliability, assess site recommendations and to determine scalability. The team will be on the island May 20–24 to meet with local officials and begin first stages of operational deployment of the genesis energy project. Orocovis is the site for the genesis development project in Puerto Rico and will serve as the model for the technical and development resources needed for KWHCoin to provide energy services to remote locations globally. Orocovis is located in the Central Mountain Range, north of Villalba and Coamo; south of Morovis and Corozal; southeast of Ciales; east of Jayuya; and west of Barranquitas. Orocovis and its remote population of over 300 homes present a unique challenge for traditional energy service platforms but is a perfect fit for the KWHCoin model which focuses on empowering the edges of the grid. Orocovis with its central location in the island and rugged terrain presents unique grid challenges but KWHCoin is deploying its team to work out the logistics and coordinate project details with local officials. KWHCoin made agreements with local officials in Orocovis for blockchain exploration back in March and are now actively deploying the technical and operational resources to launch immediate energy access for residents in the area. 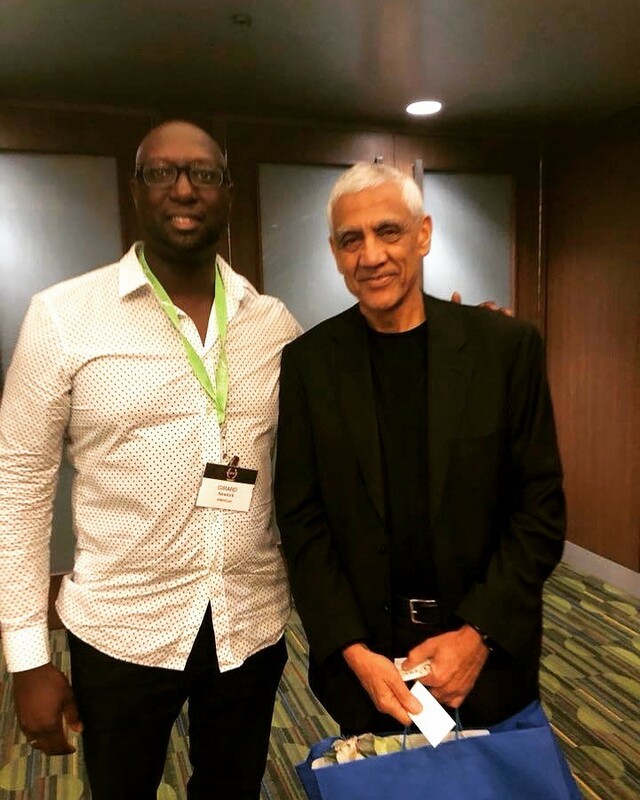 CEO, Girard Newkirk and the Mayor of Orocovis doing collaborative talks in Puerto Rico with other local officials to develop energy solutions. “Puerto Rico and the development of reliable renewable energy sources on the island is the number one priority for KWHCoin related to our operational projects, says KWHCoin CEO Girard Newkirk. “We are deploying our genesis energy project in Orocovis in a few weeks and our solution for the edges of the grid and the world’s remote locations will have a clear platform to expand our knowledge framework on developing the appropriate solution to power the island”. KWHCoin genesis energy infrastructure project and all energy generation and usage data will be deployed on KWHCoin blockchain. Microgrid development will provide export potential to main island grid making KWHCoin a net zero renewable energy provider on the island. KWHCoin will be the exclusive method of payment for all energy generation and distribution services and systems deployed for the project. Orocovis in the center of the island of Puerto Rico. Its lush and beautiful topography provide grid challenges but KWHCoin aims to deploy its solution in May. For the latest in developments visit www.kwhcoin.com or contact@kwhcoin.com for media inquiries and social impact investing.